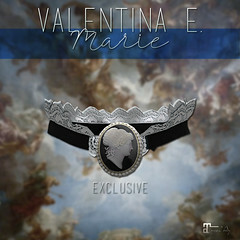 February 2017 – Valentina E.
NEW! Valentina E. Courtney Dress @ Rewind! Coming February 10th to REWIND, a brand new nostalgia based shopping event, the new Valentina E. Courtney Dress! Available in four colors for Maitreya Lara, Slink Physique/Hourglass, and Belleza Freya/Isis. Inspired by …Courtney Love in the 90’s of course! NEW! Valentina E. Heartbreaker Ensemble @ FaMESHed! 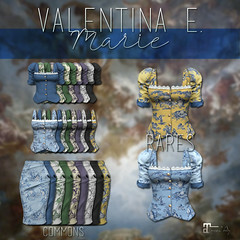 Out now at the February round of FaMESHed the new Valentina E. Heartbreaker Ensemble! The romper and double layer tulle skirt are sold separately. Available in Maitreya Lara, Slink Physique/Hourglass, and Belleza Freya Natural/Isis Natural sizes. Please try a demo before purchasing.